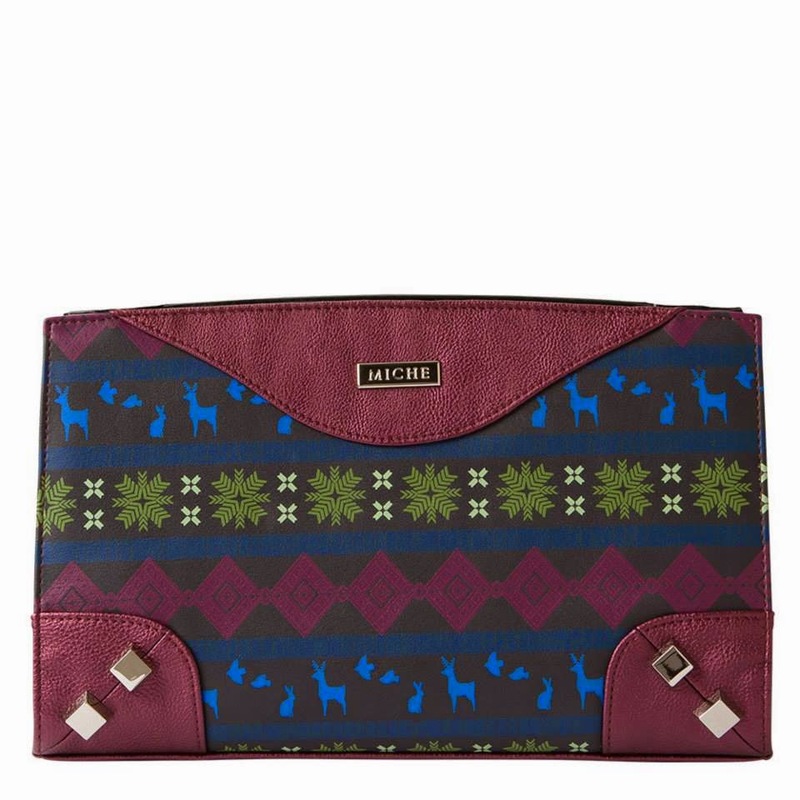 Wear the warmth and merriment of the holiday season on your arm when you step out with Feliz for Classic MICHE bags! Deep grey faux leather features a custom seasonal print on both sides in shades of berry, green and blue. Textured faux leather accents in metallic berry along with oversized studs complete this festive look. Silver hardware.